I am contacting you about my current exhibition/installation at the University of Oxford Botanic Garden. the exhibition opened on Alice Day July 6 and will run till the end of August so there is still time to catch it! The subject of these pinhole photographs are marionnettes made by the English artist Margaret Littleton Cook (1940s). They explore the characters as representations of psycological states and Alice’s dream of wonderland as a spiritual journey. To come upon images in the garden unexpectedly much like Alice was confronted by characters in the books will give her psychological journey a geographic sense. Each character Alice encounters on her journey represents a disturbing emotion that must be transformed in order to reach enlightenment. Carroll calls the Queen of Hearts the embodiment of anger. 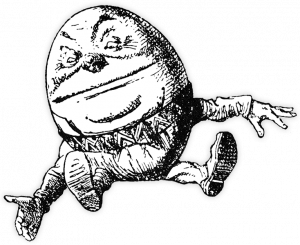 Lewis Carroll the logician brings up many philosophical debates in the books. He uses nonsense to explore concepts such as time, perception, impermanence, duality, identity and the role of language. Using marionettes as subjects echoes this playful approach. Using the historic process of pinhole photography give the images a particular resonance and there is no denying the connection between the upside down back to front world behind the looking glass and the positive and negative in photography. Not to mention Carroll’s interest in perception and photography. The installation considers the qualities of different spaces in the garden and uses the shady places for the darker more mysterious photographs, and more open spaces to echo the images of understanding and clarity. Visitors will have a unique experience of the images as the light and the garden change throughout the day and season. 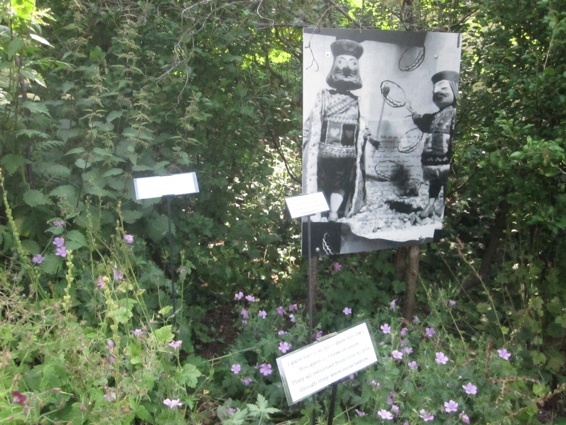 So, if you’re in the Oxford vicinity and enjoy gardens, marionettes, and/or Alice-themed art, you have until the end of August to view this al fresco exhibit.